Why do Snapchat users use Snapchat? 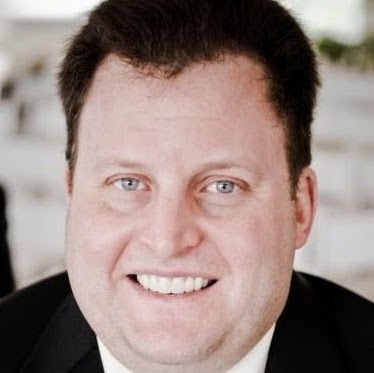 According to a new study by the messaging application and market-research firm Murphy Research, the answer is simple: It makes them happy. 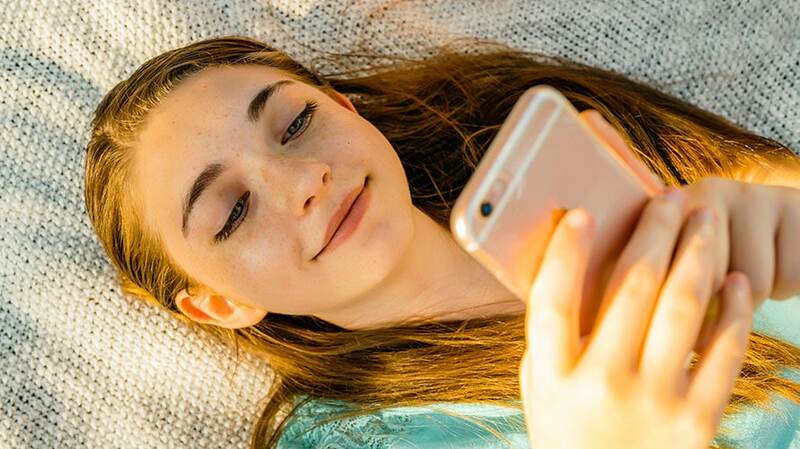 Snapchat and Murphy surveyed 1,005 app users aged 13 through 44 for the Apposphere study (being a Snapchat user was not required to participate in the study), and they arrived at three key conclusions: People’s moods are impacted by the apps they use; there are specific reasons why users open each app; and each app has its own time and place. 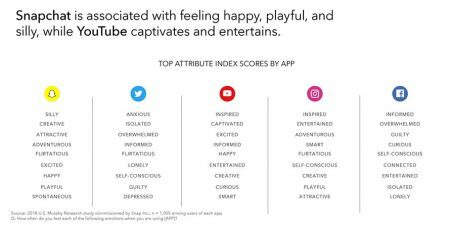 Respondents to the survey were asked how often they felt specific emotions when using Snapchat, as well as Twitter, YouTube, Instagram and Facebook, and their answers were used to determine the top attribute index scores for each app. Happy was joined on the Snapchat list by other positive emotions including silly, creative, attractive and playful. YouTube and Instagram also yielded mostly positive results, with each of those apps led by inspired. It was more of a mixed bag for Facebook, which yielded negative emotions including overwhelmed, guilty, isolated and lonely. And Twitter fared even worse, as its top three attribute index scores were for anxious, isolated and overwhelmed. 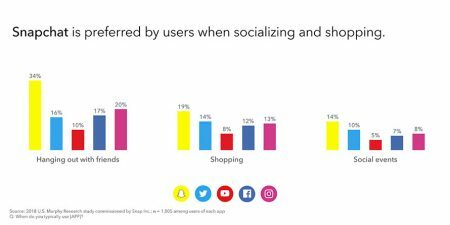 Snapchat and Murphy also asked respondents what they did after opening the five apps they studied, and the top answer for Snapchat was, “Talk to my friends,” with Facebook yielding the same result. 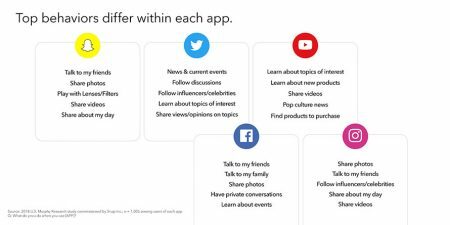 Meanwhile, respondents mostly used Twitter to learn about news and current events, YouTube to learn about topics of interest and Instagram to share photos. 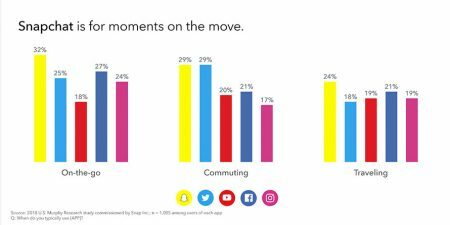 Respondents were asked when they typically used each app, and Snapchat came out on top for on the go (32 percent, with Facebook at No. 2, 27 percent), commuting (tied with Twitter at 29 percent apiece), traveling (24 percent, with Instagram close behind at 21 percent), hanging out with friends (34 percent, with Instagram placing second at 20 percent), shopping (19 percent, with Twitter following at 14 percent) and social events (14 percent, with Twitter again coming in second at 10 percent). Facebook was respondents’ app of choice while waiting, at 39 percent, with Snapchat close behind (35 percent). 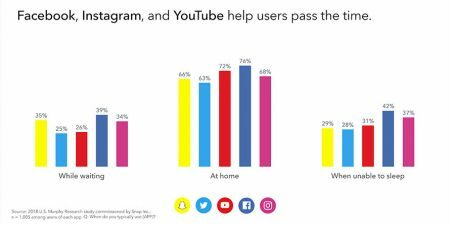 For use at home, Snapchat (66 percent) topped only Twitter (63 percent), coming in behind Facebook (76 percent), YouTube (72 percent) and Instagram (68 percent). The pecking order was similar for when respondents are unable to sleep, with Facebook leading at 42 percent, followed by Instagram (37 percent), YouTube (31 percent), Snapchat (29 percent) and Twitter (28 percent).